Whimsical Words welcomes guest author, Dawn Vogel. Dawn’s academic background is in history, so it’s not surprising that much of her fiction is set in earlier times. By day, she edits reports for historians and archaeologists. In her alleged spare time, she runs a craft business, co-edits Mad Scientist Journal, and tries to find time for writing. She is a member of Broad Universe, SFWA, and Codex Writers. 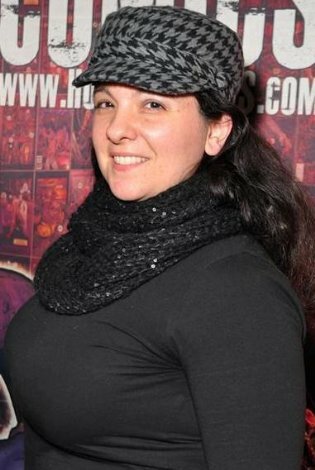 Her steampunk series, Brass and Glass, is being published by Razorgirl Press. She lives in Seattle with her husband, author Jeremy Zimmerman, and their herd of cats. On the hunt for a legendary, cursed map that leads to treasure unimaginable, the crew of The Silent Monsoon, led by the pertinacious Captain Svetlana Tereshchenko, soon discover they aren’t the only ones hunting for riches. But there’s more than gold at stake in this pursuit. The Last Emperor’s Hoard is rumored to contain the Gem of the Seas, a device that gives its owner the power to control the oceans. Wanted by the Air Fleet and dogged by spectres both real and imagined, Svetlana and her crew will have to call in every favor and pull every string—even if it means stirring up more ghosts—to complete the map before the High Council does. This race will require courage, determination, and sacrifice. Will Svetlana have what it takes to win, or will the map’s curse be too high a price? Where did the idea come from for your latest book, Brass and Glass 2: The Long-Cursed Map? 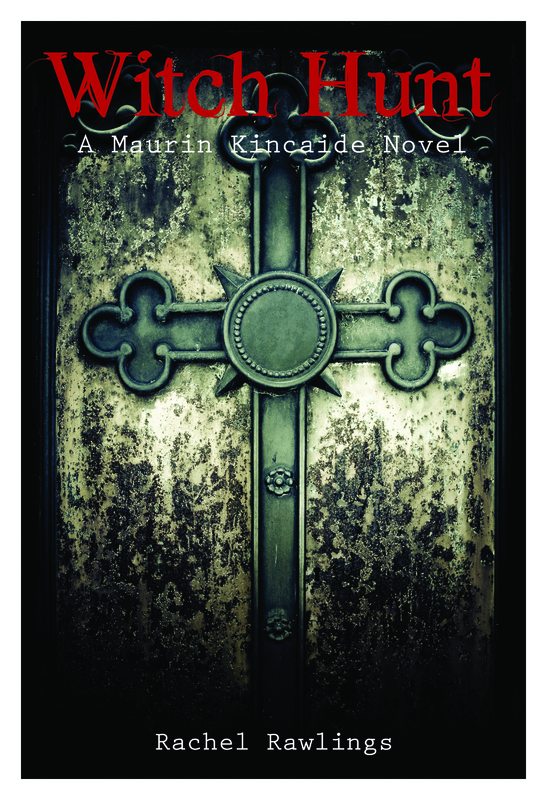 My latest book is a sequel to my first published full-length novel, Brass and Glass: The Cask of Cranglimmering. The original book started life as a short story, but grew into a novel. When my small press editors and I were working through the edits on the first book, they asked if there were more books. I hadn’t outlined or planned the other books, but I knew the story wasn’t done yet. So I said yes, I thought I could get a trilogy out of this idea. So in many ways, the second book directly stemmed from my editors loving the first book. The first book also helped to dictate what needed to happen next–the protagonists were in search of a map, and they needed to find all of the pieces. Midway through, they discovered that perhaps the map was more than they’d bargained for, being called the “long-cursed” map and all. Of course I adore my protagonist, Captain Svetlana Tereshchenko, but I have a lot of fun writing Indigo, the ship’s mechanic. He’s a teenage boy who grew up in a culture that was far removed from the predominant culture in the books. So he’s often encountering things for the first time in his life that the other characters just accept as part of reality. He also has an abnormal speech pattern, which is both challenging and rewarding to get just right. 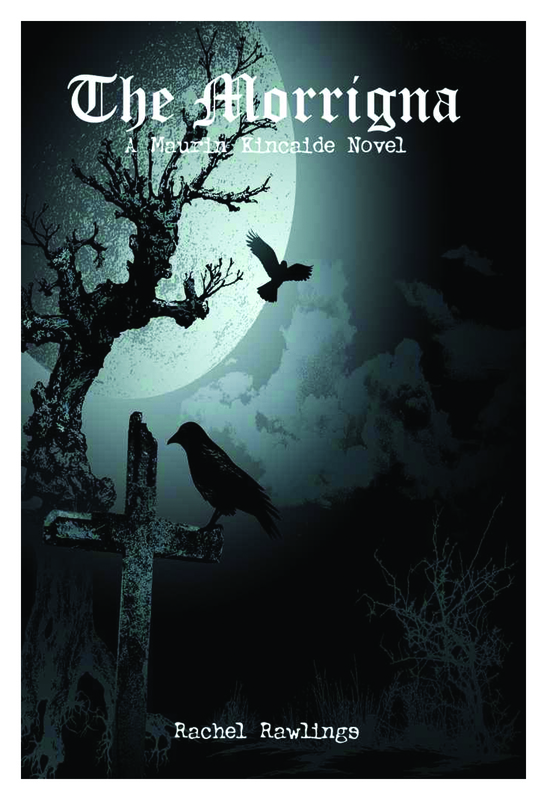 My book is indie published through Razorgirl Press, which is a small press based out of the Seattle area. Because it’s a small press, the editors are people I interact with directly and regularly—we will get together at a coffee shop or other locations to work on edits or discuss plans for the book. Because the cover art and editing are done in house, I feel like I get a lot of input into those things, which I might not have as much if I were traditionally published. The downside, of course, is that the marketing also falls on our shoulders, so it’s not as easy to publicize the book as it would be if I was with a traditional press that has a team for marketing and publicity. I started out as a pantser, but I quickly found that path was not a good fit for me. I started planning out all of my books, and I found I was much more productive that way. That isn’t to say that I never wander off down a garden path while writing, and some of those diversions have wound up being fantastic additions to my plans. But I need at least the bare bones of a structure to keep me on track and not wandering off into the woods beyond the garden. The one I most remember reading (again and again and again) was The Girl with the Silver Eyes by Willo Davis Roberts. One of my teachers in grade school had this book in her classroom library, and I checked it out and read it so many times that at the end of the school year, she gifted it to me. The main thing I remember about the plot as an adult was that the main character had telekinesis, which I thought was the coolest thing ever. I’ve gotten a new copy of the book recently, but I haven’t managed to re-read it since re-acquiring it! The third book in the Brass and Glass series is in my editors’ hands, so I’ll be working on edits for that in the near future. But in addition to the countless short stories that I’m currently working on, I’m editing the first draft of another novel, this one a post-apocalyptic novel about recovering from past traumas and finding a new place to belong. Neil Gaiman once said: “You will learn more from a glorious failure than ever you will from something that you never finished.” I took that advice to heart and try to finish all of the stories that I start! Twitter, or Amazon Author page. Or better yet, purchase a copy of Brass and Glass 2: The Long-Cursed Map. Broad Universe, an organization which supports and encourages women writers of science fiction, fantasy, and horror, is sponsoring the Full Moon Blog Tour from October 25th until November 7th. As a member of Broad Universe, I’m delighted to participate, and encourage you to visit the other posts. There are prizes to be had, stories to be read, and new writers to meet. The moon holds a special place in myth and legend. 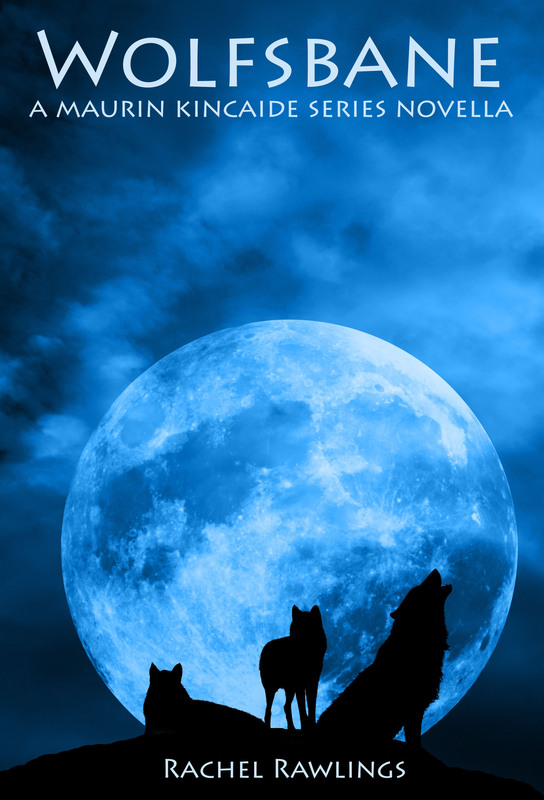 Wolves, coyotes, and dogs howl at the mirror in the sky. Werewolves and other shape-changers are influenced by the moon and its mystical light. Gazing up at the moon, humans see Swiss cheese, a man, an old woman (Grandmother Moon), a rabbit, a dragon, and other images in the darker gray areas caused by craters. Beings of Faerie dance in moonlight (and lure the unwary to dance with them until they are either spirited away to Faerie or drop from exhaustion). And legend holds if you stare into a moonshadow, you can see the past. So it’s little wonder that the moon and its magical light play a part in my collection of speculative stories, Owl Light. In fact, “owl light” is that period of a day from dusk to dawn when owls and their nighttime companions live their secret lives. Owls populate every story in Owl Light. “The Clockwork Owl” is a time-travel, steampunk story with a automaton owl who is made to save a life in the past and the future. Owls hoot from the trees in some of the stories like “Bad Moon Rising,” “Gabeta,” and “The Burryman.” Owls huddle in the corners of burial caves in ” Pawprints of the Margay” and serve as the companion of the daughter of winter in “On a Midwinter’s Eve.” In “Feathers,” not only do owls serve as mounts for fairies, but they’re able to talk and they attack an executioner ready to kill a condemned woman. 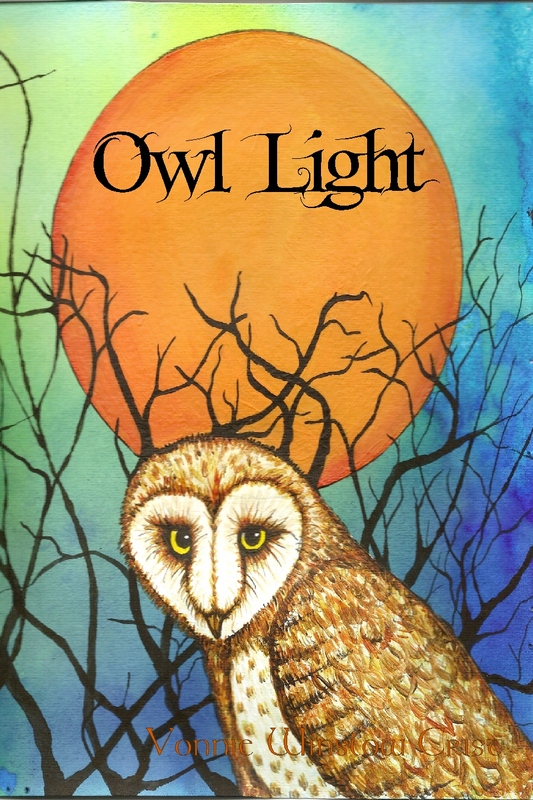 One of the stories in Owl Light where owls, the moon, folklore, and magic are pivotal is “Gifts in the Dark.” For those who’d like take a peek, here’s the Wattpad link so you can read the full story. 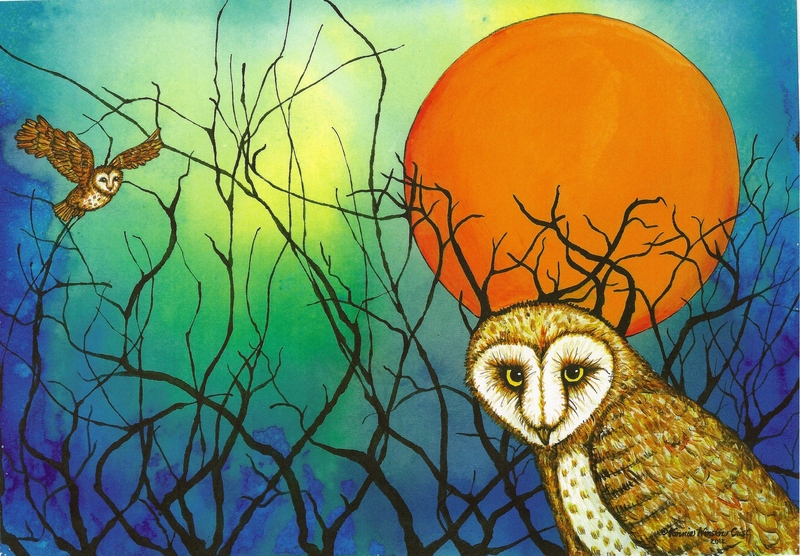 When it came time to paint a cover for Owl Light (yes, I am an illustrator, too), I found myself returning again and again to the image of a barn owl before an orange full moon. Many cultures name full moons: The Harvest Moon appears in fall at the time of the harvest. Cold Moon appears, of course, in the depths of winter – as does Hunger Moon. Strawberry Moon is the full moon which appears in June when strawberries are ripe for the picking. One of my favorites, Worm Moon, is in the spring when the earth thaws and the worms become active again. Therefore, it comes as no surprise that I named the cover painting, “Owl Moon.” What better creature to name a full moon after? So as Selene (the moon goddess) rises into the night sky in a few days, go outside and listen to the nocturnal sounds. 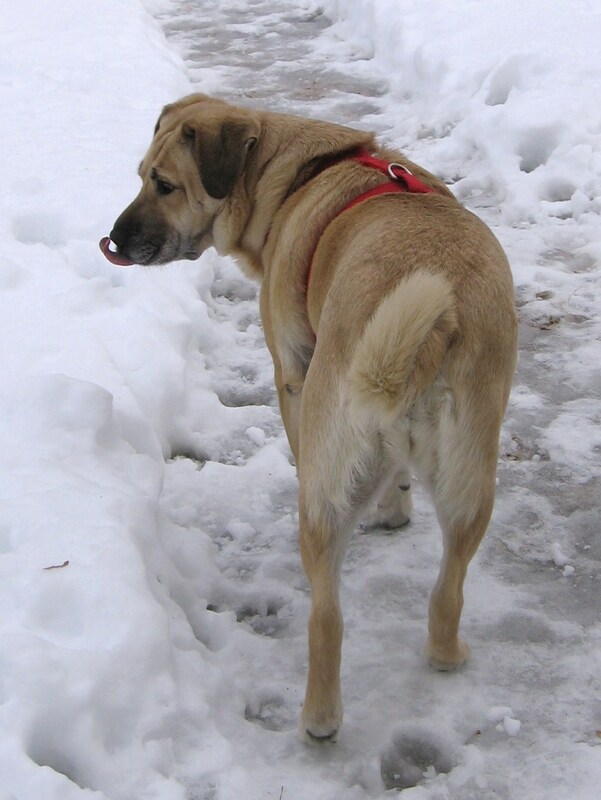 Perhaps there will be neighborhood dogs barking or crickets chirping, unless heavy frosts have silenced their songs. Or perhaps (if you’re lucky) you’ll hear the haunting call of an owl. Then you, too, can witness an Owl Moon. Thanks for stopping by, Whimsical Words, and a shout out to Greta van der Rol for organizing the Full Moon Blog Tour. Now, here’s the fun part – I’ll be sending a PDF of one of my books to one of the people who comments on this blog post. 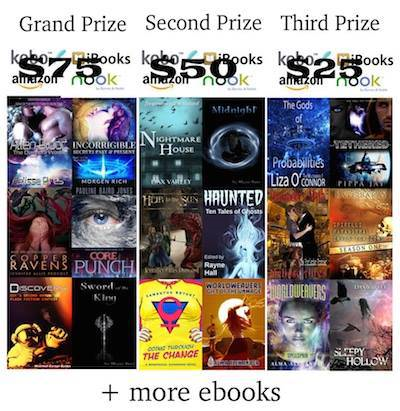 But wait, there are other prizes to be had – including books and gift cards via the Rafflecopter, and other goodies offered at other Full Moon Tour sites. And here’s the link to visit the Rafflecopter for this tour. Welcome to Broad Universe’s Full Moon blog tour, offering you a selection of the very best speculative fiction. Whether your taste is paranormal, space opera, high fantasy, gothic horror or something else altogether, please visit the participant’s sites for a taste of moonlit magic – and a chance to win some great prizes. 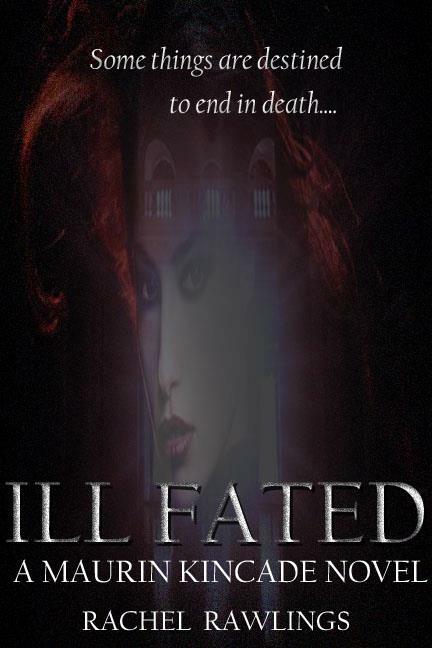 Thanks to dark paranormal, urban-fantasy, and horror author Rachel Rawlings, for stopping by and introducing us to her newest novel, Ill Fated, Book 5 in The Maurin Kincaide Series. “Some things are destined to end in death. After the first attempt on her life Maurin wasn’t scared. Hell, she was almost flattered. But someone put a price on her head and things are getting complicated. Trouble is brewing in the fae courts and it’s spilling over into Salem. The UnSeelie Dark Guard have answered the call for her head on a platter and people closest to her are disappearing. 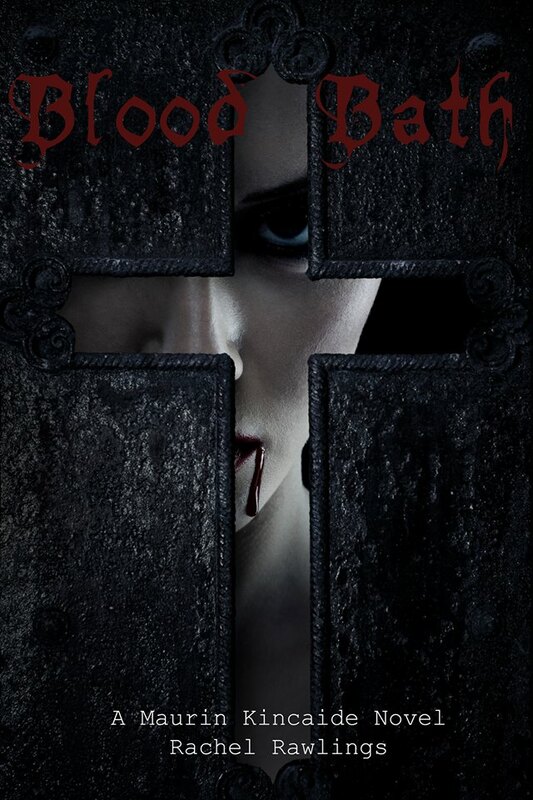 Since this is Book 5, most readers will want to check out the earlier books in The Maurin Kincaide Series: The Morrigna (book 1), Witch Hunt (book 2), Wolfsbane (book 3), and Blood Bath (book 4). You can see the fabulously creepy covers here. Besides writing a series of novels, Rachel is Founder of the HallowRead Convention for fans of Paranormal Urban Fantasy, Steam Punk and Horror – which is how I came to know her. Want to learn more about Rachel Rawlings and her books? Check out her website and The Maurin Kincaide Facebook page, and follow her on twitter. And you can buy Rachel’s books from Amazon.